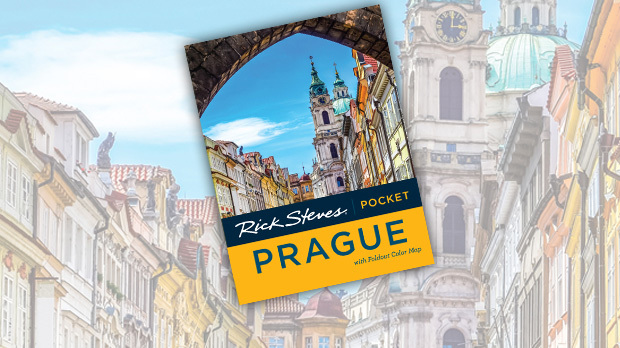 In the heart of the Czech Republic, Prague is "the golden city of a hundred spires." This vibrant Baroque capital escaped the bombs of last century's wars, so it remains one of Europe's best-preserved cities. It's the ideal springboard for travelers new to eastern Europe — an accessible city with a story to tell and plenty to experience. When I need a break from history-heavy sightseeing, I stroll through its local markets, enjoy an outdoor concert, sip a Czech brew on a vista terrace, or take a leisurely paddleboat ride on the Vltava River. Wedged in the bend of the river, the Old Town Square is my favorite place to start exploring Prague's treasures. The vast square is ringed with colorful buildings; dotted with Baroque towers, steeples, and statues; and alive with people. Street performers provide a constant soundtrack. Horse-drawn carriages and Segways zip through constantly — a reminder that Prague is as much a city of yesterday as a city of today. At the top of the hour, locals gather around the towering astronomical clock to see a mechanical show of moving figures. To get a flavor of artisan Prague, explore the nearby open-air Havelská Market, a thriving hotbed of traditional-though-touristy Czech culture. Here you can browse for handicrafts, including fun "kitchen witch" marionettes to hang in your kitchen for good luck. It's also an inviting place to enjoy a healthy snack and connect with a local farmer. At the head of the Old Town is the majestic Charles Bridge, lined with 17th- and 18th-century statues. Under communism, this pedestrian-only bridge crossing the Vltava River was quiet, its big Gothic towers and statues of saints coated in black soot. Today it's a celebration of life, with a festival of artists and musicians all along its length. A walk across this delightful bridge is one of the most pleasant strolls in Europe, and I can't think of a more striking place to enjoy an impromptu concert. Another idyllic setting for an afternoon serenade is at Prague Castle, overlooking the river. There's a tremendous city view and entertaining bands that play regularly at the gate. My favorite group is the Prague Castle Orchestra, headed by the friendly, mustachioed Josef. 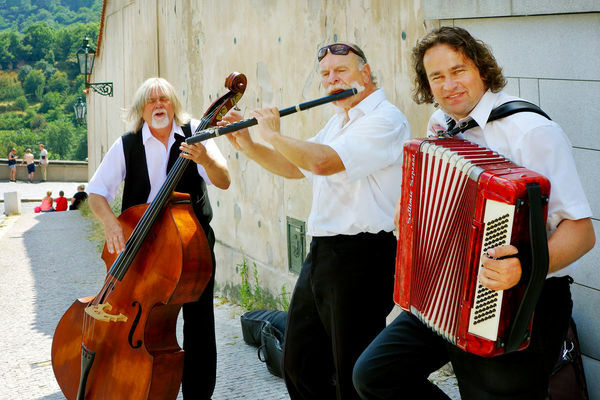 Prague booms with live and inexpensive classical music, jazz, and theater. Be sure to catch a performance, whether on the street or at the famed Opera House. After taking in the sights, sounds, smells, and tastes of a walk through Prague, consider a scenic tour from the water by renting a rowboat or paddleboat on the Vltava River. Float at your own pace among the swans and watch local lovers cruise by in their own boats. Even better, for the best cheap riverside dinner, have a picnic on a paddleboat. There's nothing like drifting down the middle of the Vltava River, while munching on a picnic meal and sipping a beer with your favorite travel partner. Around sunset, the evening light is warm, and the colors are rich. It's the perfect time to grab a drink at the rooftop terrace at Hotel u Prince, overlooking the Old Town Square. While touristy, it offers the best views in town and refreshing Czech brews. Czechs are among the world's most enthusiastic beer (pivo) drinkers, so whether you're in a restaurace (restaurant), hostinec (pub), or hospoda (bar) — a beer will land on your table upon the slightest hint to the waiter. Na Zdraví (Cheers)! For an authentic Czech dinner, follow your nose and keep an eye out for ambience. What you'd pay for a basic meal in Vienna or Munich will get you a memorable dining experience in Prague. From traditional, dark Czech beer halls, to elegant Art Nouveau dining rooms, to hip cafés, you won't go hungry with stick-to-your-ribs eastern-European fare: goulash, dumplings, potatoes, and lots of meat. After a hearty Czech meal, I enjoy sitting down to an amusing Prague tradition called Black Light Theater. A kind of mime/modern dance show, Black Light Theater is unique to Prague and has no language barrier. Neon-clad acrobats dance and contort around the stage, creating optical illusions against a black backdrop. Although aficionados lament that it's becoming a cheesy variety show, it's still an unusual theater experience that many enjoy. Seeing how alive this city is today, it's hard to imagine the gray and bleak Prague of the communist era. 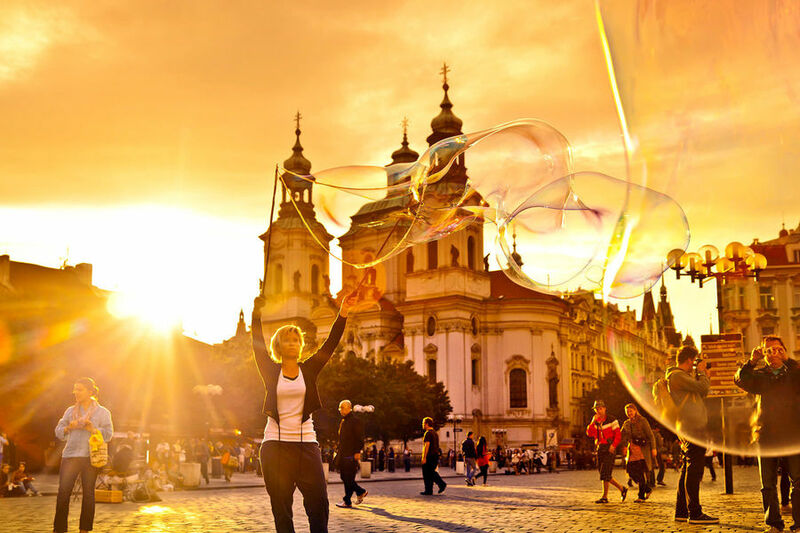 Its seamless marriage of evocative Old World charm and modern urban bustle makes Prague ideal for experiences beyond the typical sightseeing routine. With music spilling into the streets, colorful famers markets, and animated pubs serving up some of the best beer in Europe, it's a city thriving with visitors and locals inviting you to join in.